This is my chair contribution to the #3000chairs project to show my support to Children’s author Nicola Davies’s response to the government’s decision not to allow lone refugee children a safe haven in the UK. 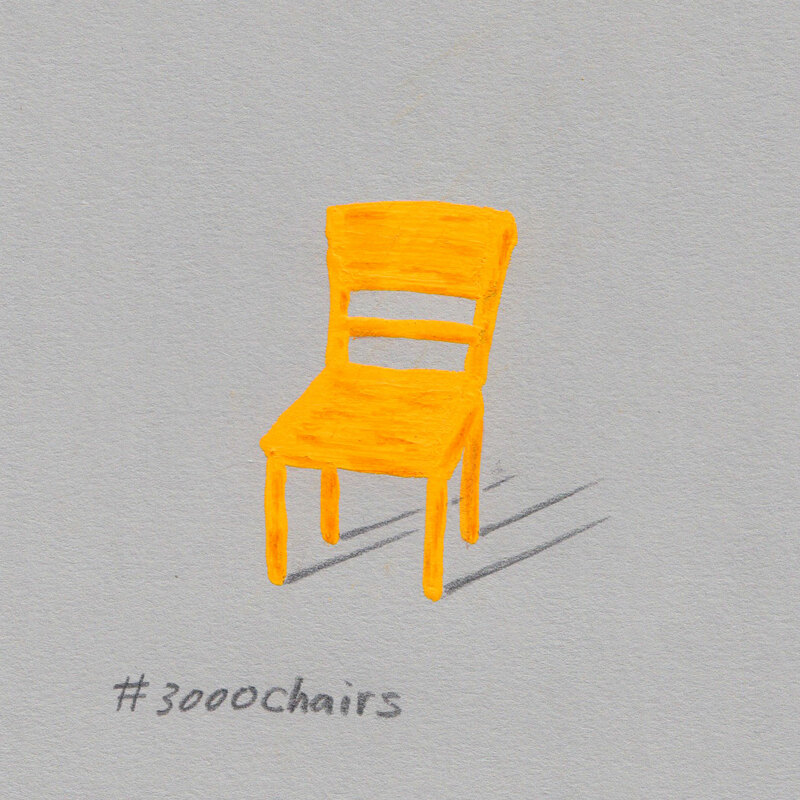 Children’s illustrators, authors and many others were invited to paint, draw or sketch an empty chair and share it on social media with #3000chairs. Those kids are innocent victims. They shouldn’t be caught up in grown-ups’ politics and hatred. We should show them our support and give them hope. You could read Davies’ poem The Day The War Came and see amazing chairs from other wonderful artists on The Guardian.